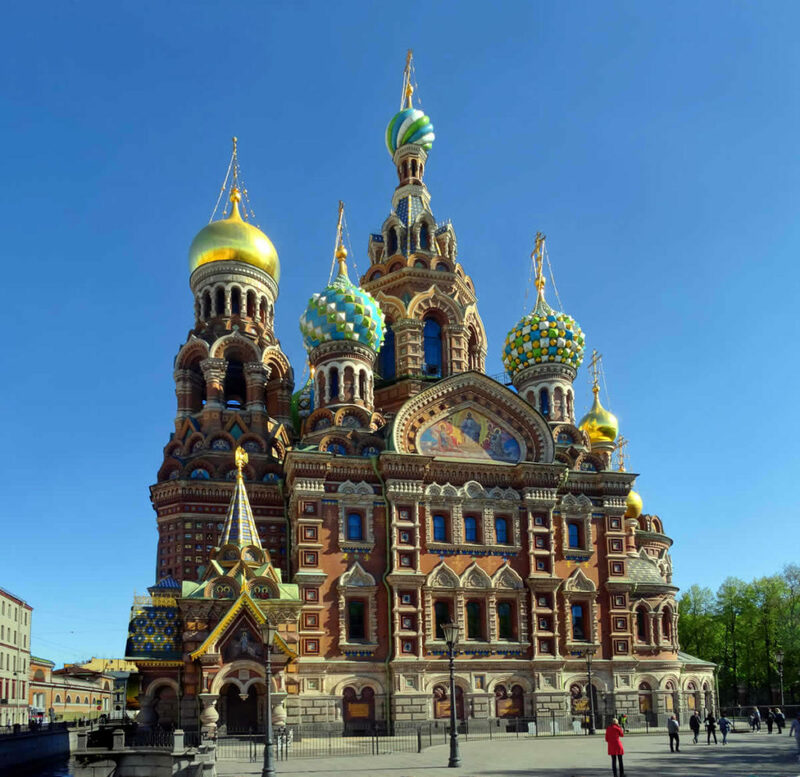 Saint Pete, Venice of the North or just Pete, there are so many names by which Russian cultural capital is known by. Filled with beautiful baroque and classical buildings, it is a city of art and culture. The city where you can feel history on every single corner. During a week I’ve spent there visiting my friends I had enough time to explore the city, its surroundings, meet some of its citizens and try some of its great food. 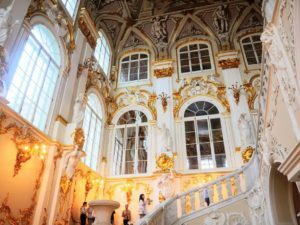 So, here is my ultimate travel guide to Saint Petersburg with everything you need to know about that beautiful city. # – Cyrillic letters – Cyrillic letters are in use in Russia and majority of the signs are written in it. If you don’t know how to read Cyrillic it could be a bit challenging finding your way around. Taking a photo of a name of a place I wanted to visit helped me a lot, so that’s my tip for you, as well. # – Not everyone speaks English – It was a bit surprising for me that not many people in Saint Petersburg spoke English. However, many restaurants had menus in English. And people working in cafes, museums and similar places spoke English, so it wasn’t that hard to communicate. 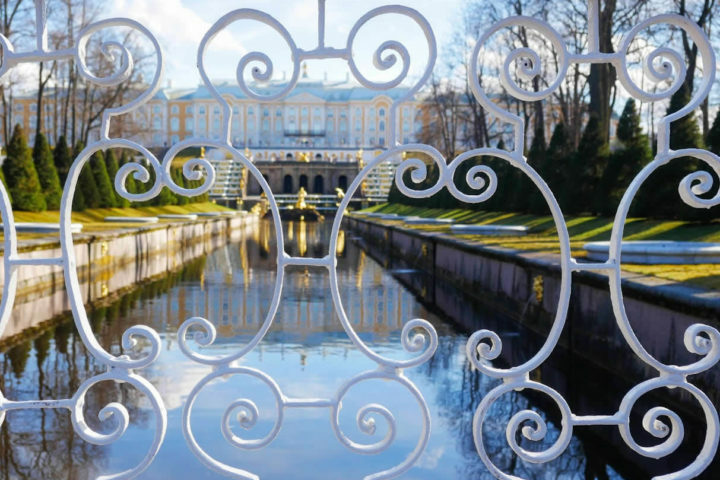 # – Long days in summer, long nights in winter – Saint Petersburg is one of the northernmost cities in Europe. It has long nights during winter and long days with white nights in a summer period. Although it could be a bit hard to have only daylight or night during your stay. It is definitely a unique experience. 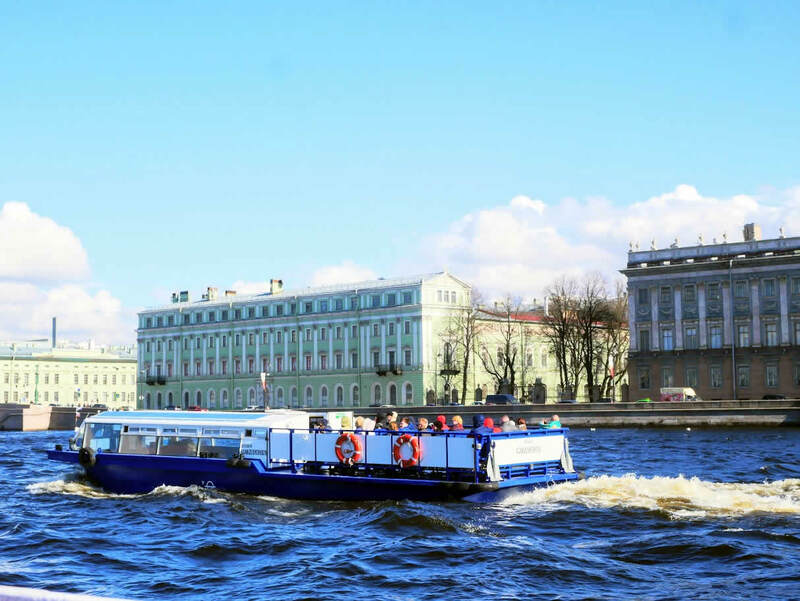 # – Metro – Metro system is very efficient in Saint Petersburg and I loved riding in it. 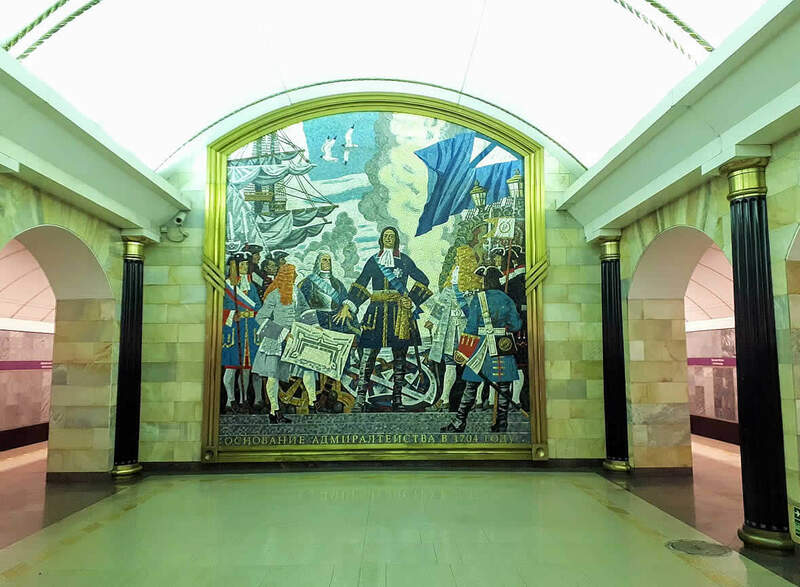 It’s also quite a nice experience, because Saint Petersburg has some of the most beautiful metro stations in the world. There were many statues, marble decoration and mosaics in it. And no two stations were the same. There are even guided tours organised there and you can see some of them on a link here. # – Car – I wouldn’t recommend renting a car in Saint Petersburg. The city is packed with cars. You’ll wait in lines for hours and driving looked quite stressful to me. It’s definitely much quicker and cheaper to use public transport. 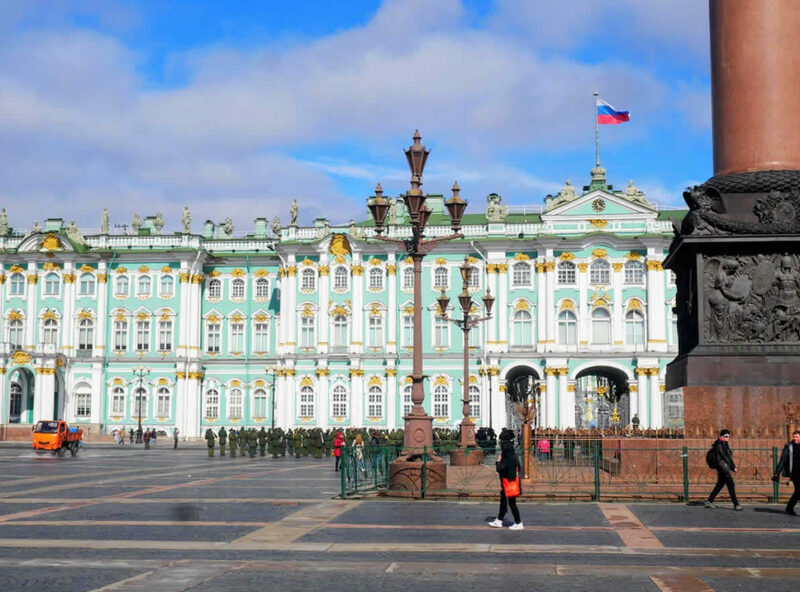 Russian second largest city was founded by Tsar Peter the Great on May 27th 1703. He travelled around Europe and was especially impressed by Dutch culture, architecture and ship building. So, once back in Russia he decided to build a city influenced by the architecture he saw there. 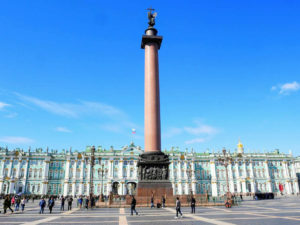 Saint Petersburg was Russian capital until the revolution in 1917 when Moscow became the capital of the country. 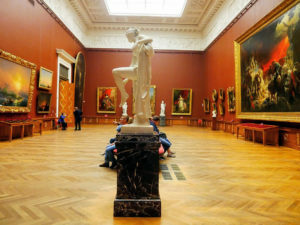 However, with more than 220 museums and around 80 theatres, it remained the cultural capital of Russia. The city was under the two and a half years long siege during the Second World War. Food could only be brought to the city through the Road of Life across Ladoga Lake which was only possible if the lake froze completely. More than one million people died during the siege, mostly from starvation and it’s still one of the saddest parts of Russian history. 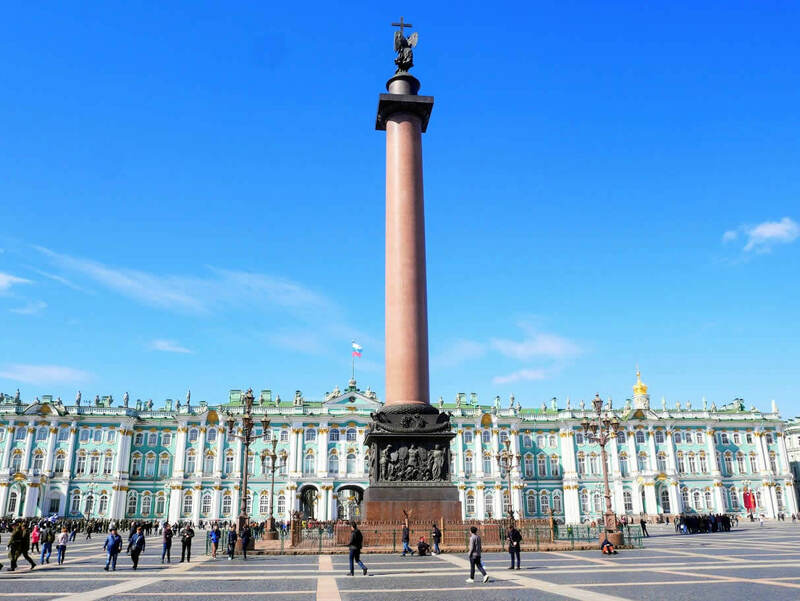 Saint Petersburg is filled with culture and there are so many interesting places to see there. You can start with its bridges, explore its museums then and finish a day at some of its famous ballet performances. 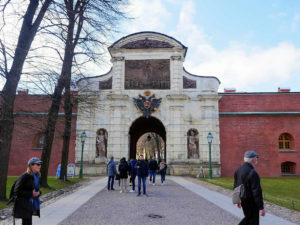 The best way to learn about Saint Petersburg’s history would be by joining some of the tours organised there. There are so many options to choose from. 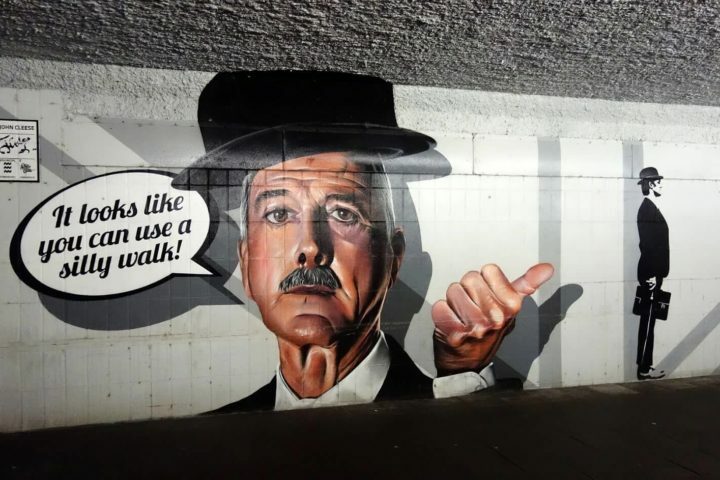 You can explore it on segway, with a private guide or on a night walking tour. It has such an interesting history I would definitely recommend you to learn more about on one of these tours. Peter and Paul Fortress is the oldest stone building in a city. 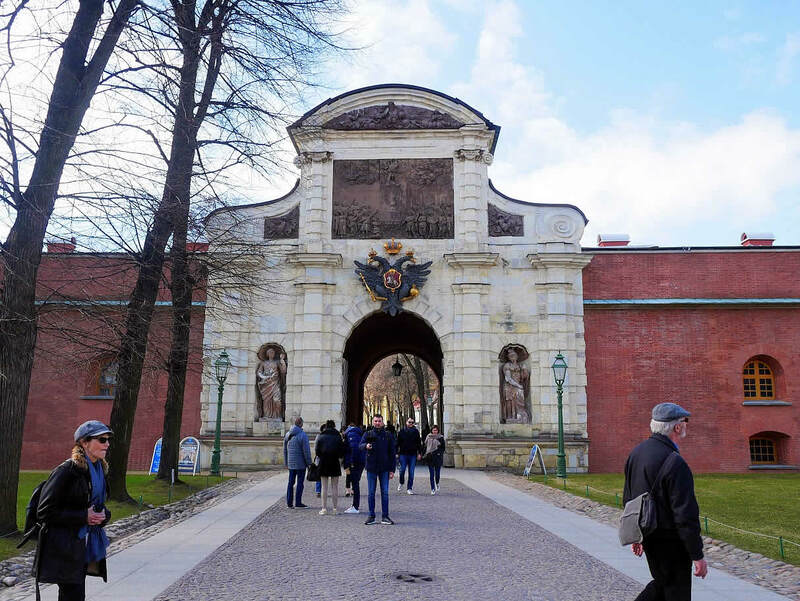 It was built in a shape of a star and it’s the original citadel of the city built by Peter the Great. 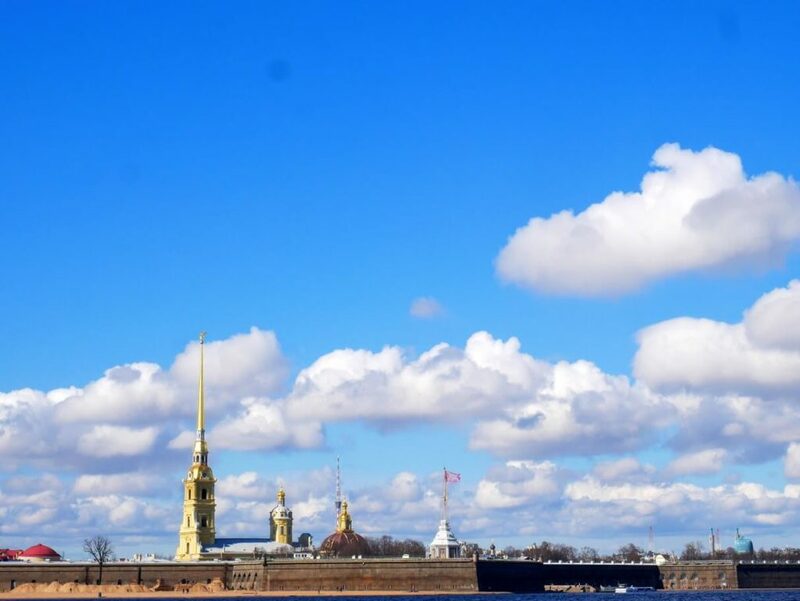 You can walk around it, see its fortifications and enjoy a beautiful view on Saint Petersburg from it. 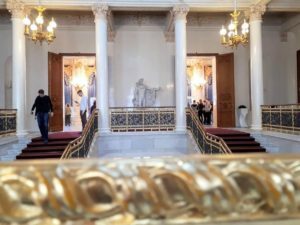 It is a part of the State Museum of Saint Petersburg History, so you can also visit some of exhibitions organised in its towers. Visiting fortress is free of charge, but if you would like to visit any of these exhibitions, you can buy a ticket for them at the entrance. 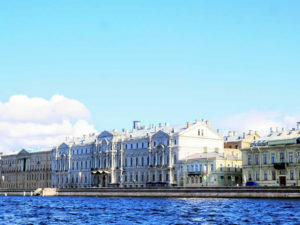 Saint Petersburg is not called the Venice of the North without a reason. There are 342 bridges within the city and some of them are truly beautiful. 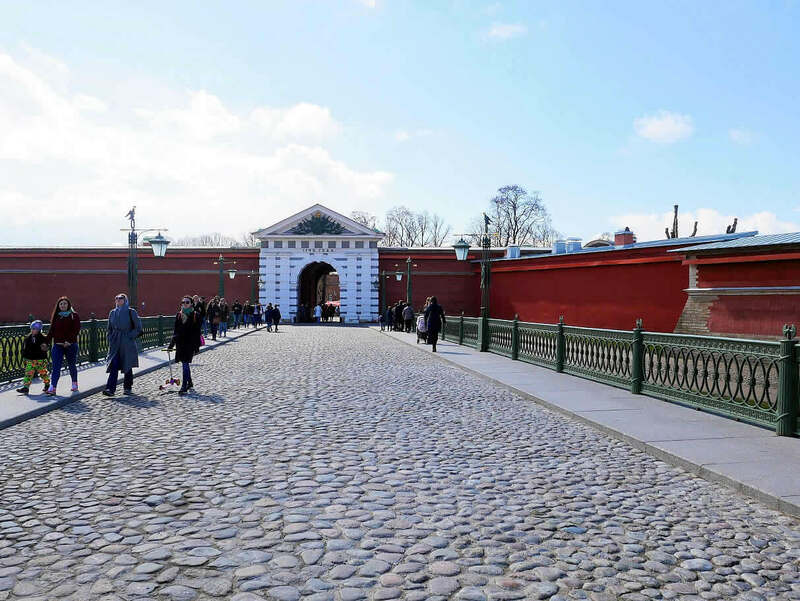 It’s especially exciting to see some of the large bridges over the Neva River being opened. The idea of the city’s founder, Peter the Great was to, inspired by Venice and Amsterdam, build the city with canals instead of roads. He thought people will move around in boats during the summer months. And during the winter, when the canals are frozen, in sledges. 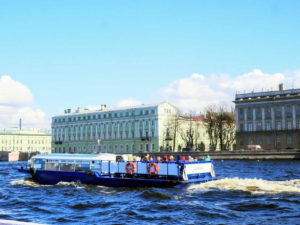 *TIP: The best way to see Saint Petersburg’s bridges and the city from the water, is by taking one of the boat tours. You can choose between some organised during the day (check them on a link here). Or, if you would like to see illuminated bridges during the night, you can go on a night boat tour (take a look on a link here). 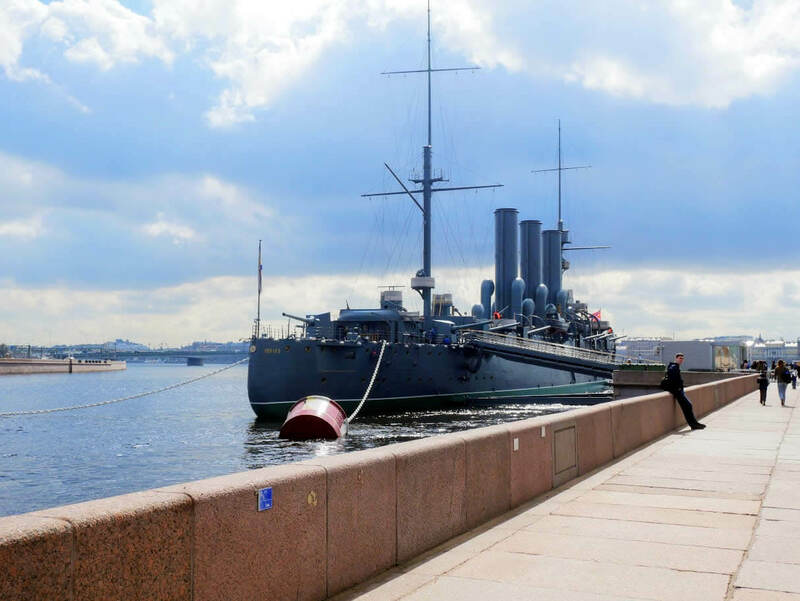 Aurora is a Russian cruiser ship built in 1900 that’s today preserved as a museum you can visit in Saint Petersburg. The ship was used in Russo-Japanese war at the beginning of 1900’s. It was also important during the revolution in 1917. The first shot was fired from it, signalling the beginning of the October revolution to those involved. 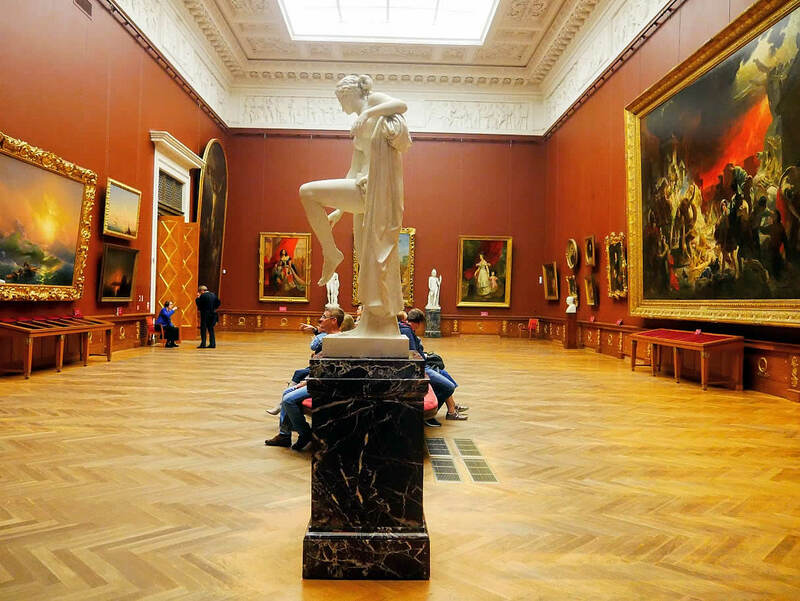 Hermitage Museum is without a doubt one of the best museums I’ve ever visited. I joined one of organized small group tours there and would recommend doing that to anyone. It’s the second largest museum in the world and otherwise you’ll just get lost. 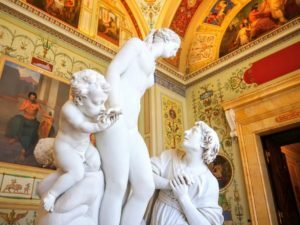 It’s located in a beautiful building of the Winter Palace and it has works from artists like Leonardo da Vinci, Michelangelo etc. I especially liked collection of Rembrandt’s paintings that’s equally good as the one in Amsterdam’s Rijksmuseum. 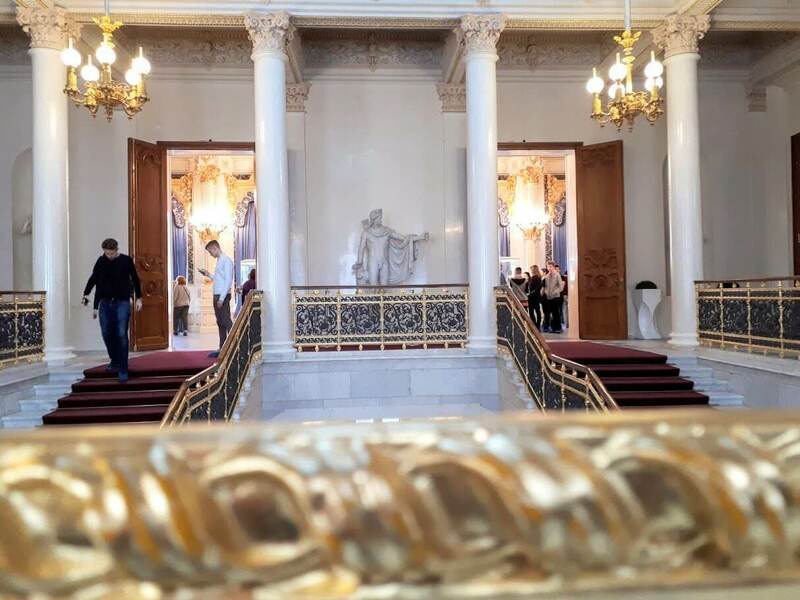 Another great museum located in a beautiful Mikhailovsky Palace is the Russian Museum. 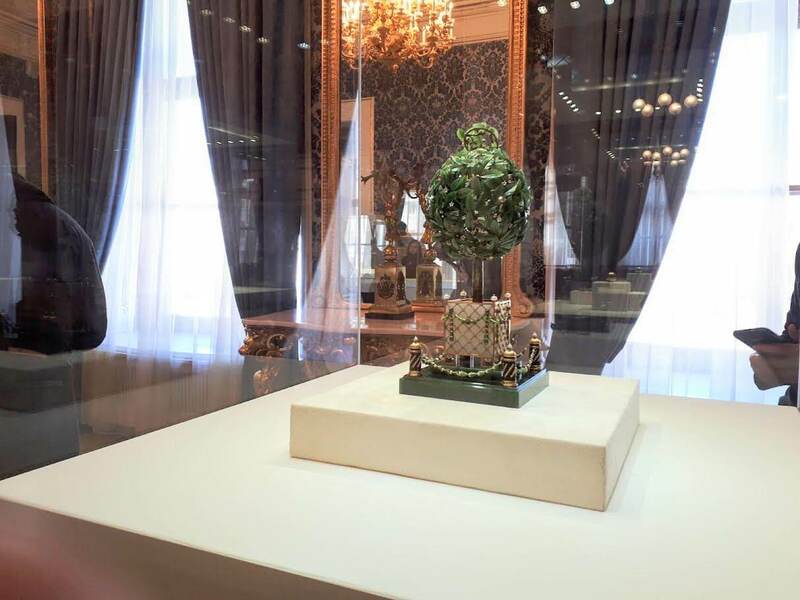 It’s a home to one of the largest collections of Russian fine art. Collection of early modern Russian painters was my favourite. This small private museum is definitely a place that shouldn’t be missed while in Saint Petersburg. It’s highlight are nine imperial Easter eggs created for the last two Russian tsars by a famous artist Fabergé. Saint Petersburg is the place to go to see some of the best ballet performances in the world. 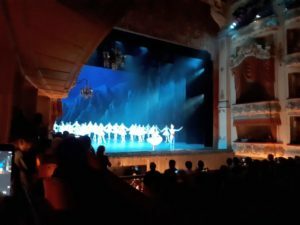 It’s school of ballet is famous for generations already. 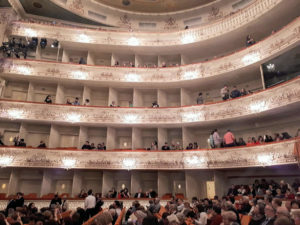 Tickets are quite hard to find, so if you’re planning to visit some of ballets, be sure to book your tickets in advance. 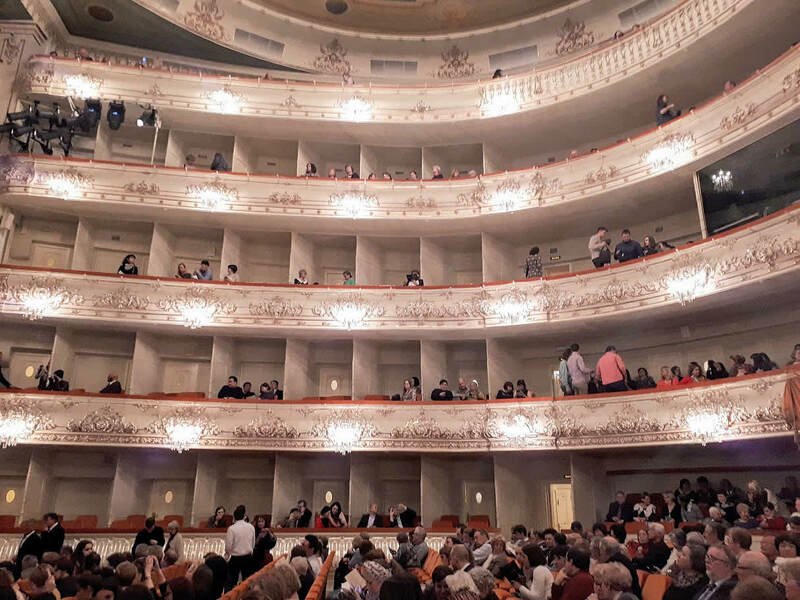 I went to Mikhailovsky Theatre and it was definitely one of the best performances I’ve ever seen. This church was built on a place where Tsar Alexander II was murdered in 1881. It’s one of the churches I liked the most in Saint Petersburg because of it typical Russian design. It was badly damaged during the Second World War, so it was under reconstruction for a long time. While working on one of its towers, restorers have found unexploded bomb from the Second World War, that was unnoticed there for quite some time. 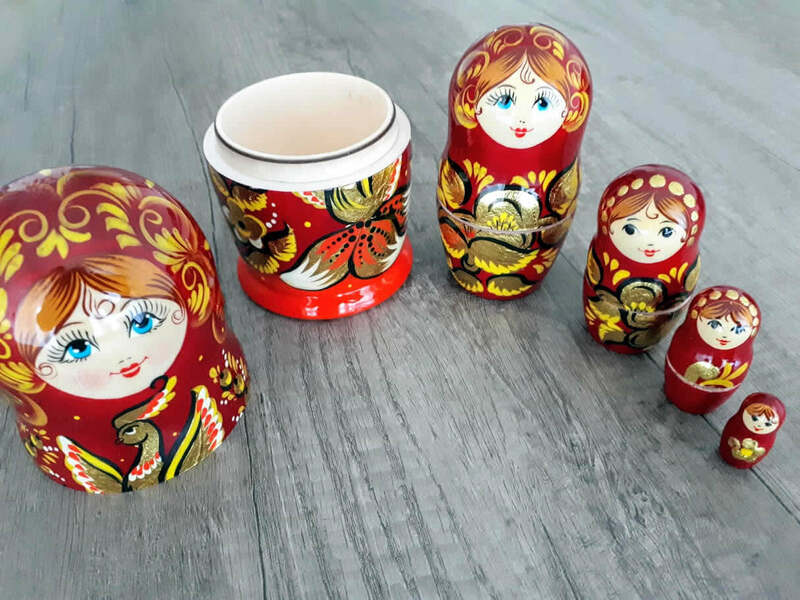 # Matryoshka doll – I remember as a child playing with one of this wooden dolls my mum brought from her school trip to Saint Petersburg. A set of wooden dolls is probably most Russian souvenir you can bring from your trip to Saint Petersburg. And you’ll find many different designs in stores there. *David Benioff: City of thieves – Probably my favourite novel with a story set in Saint Petersburg. It’s happening during the occupation of the city during the Second World War. Two young men have to find a dozen eggs for a birthday cake for one of soviet general’s daughter. Of course, they had many adventures on their way. 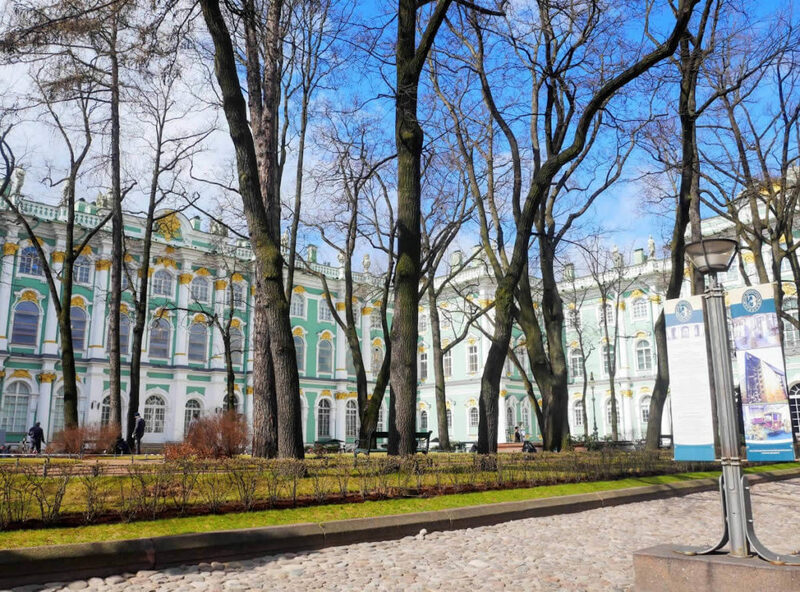 Some very famous Russian poets and writers lived in Saint Petersburg. 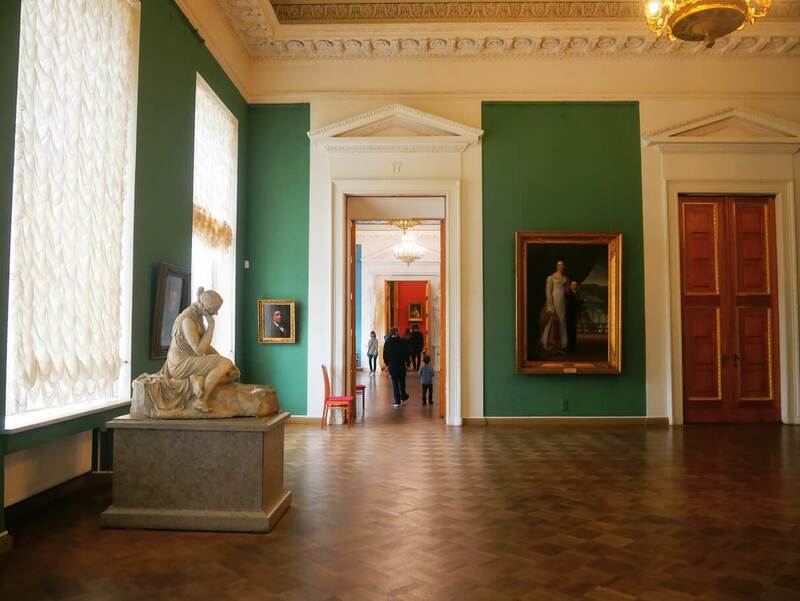 Reading some of their books before visiting the city could be a great introduction to Saint Petersburg. 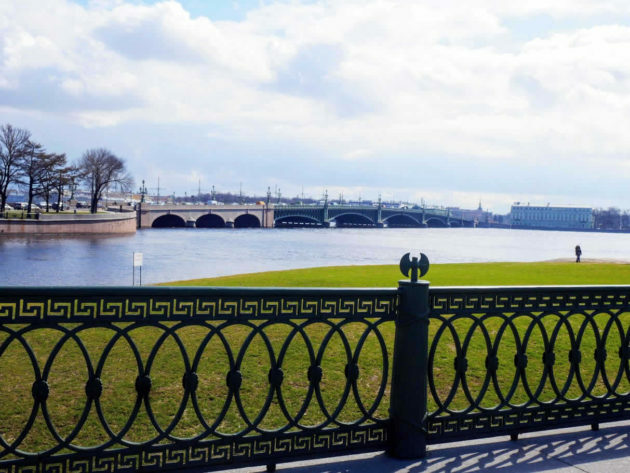 Beside Alexander Pushkin, Fyodor Dostoevsky (author of ‘Crime and punishment‘) lived in Saint Petersburg and described the city and its inhabitants so well in his novels. It’s not a book, but I really love this cute map of Saint Petersburg, too. You can use it during your trip. And have it as a nice souvenir from it once back home. Saint Petersburg is absolutely a beautiful city filled with art, culture and years of intriguing history. With its amazing food, lovely people and so many places to see, it is a city that shouldn’t be missed. 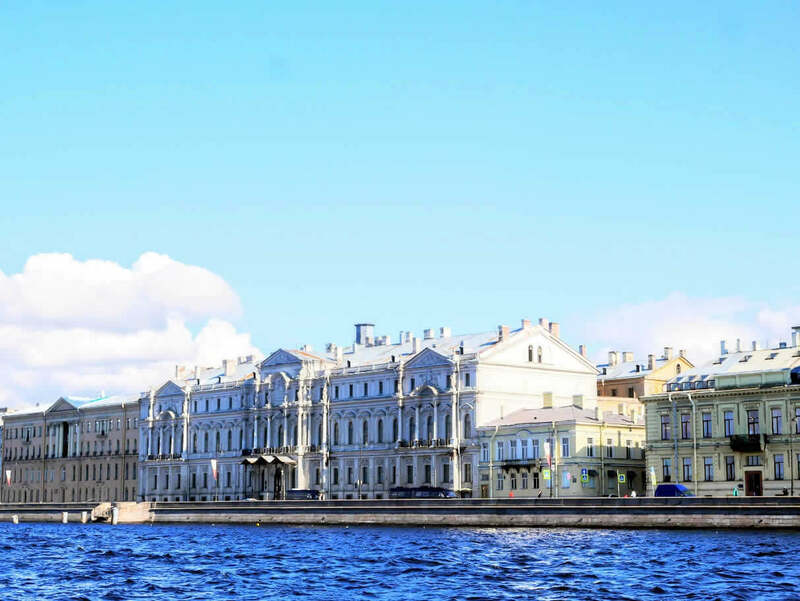 Have you been to Saint Petersburg? What were your favourite places there?